Some business owners get on social networking sites and immediately start working. They write many different blogs, post many advertisements, and promote promote promote. They might even go as far as communicating their business with many of the high profile networkers. If done consistently, this can possibly build a huge network within a couple of months. But then, after two or three months they suddenly start feeling disillusioned. They wonder why nobody has given them any business. After all they have made hundreds of new connections haven’t they? Hmmm, maybe not so much. They may have gathered contacts in their database, but the relationship probably doesn’t exist at all. It’s quite easy for this to happen. Generating business from social networking sites works differently from most other forms of marketing. It is almost impossible to generate immediate results unless you are very lucky. I don’t really believe in luck, but I do believe in blessings. It takes time for people to start trusting your online persona. This is why being persistent and building relationships is so important. How do we know you are who you say you are, until you have been around for a while? Naturally, it takes more time to build real relationships with people that you have never met face to face, then in real life. It takes time for the search engines to index your blogs and advertisements before they start ranking your website higher for your keywords. Once your website starts ranking higher it will then take time for people to discover your site, read the content, get excited and then stay in touch. So, if you are new to social networking then use a more soft approach. Be in it for the longer term. Get to know the other real business people in your niche. Meet them in real life if possible. One very good way of networking is through events. Events make it possible for you to get known along with your products or services and show people who you are and what you do. You can also meet new prospects this way. No one reaches success by themselves so doing business with others is essential. Hard sell will not work on these sites or in these days, period. Neither will complaining about it. If you have a big ego then prepare to have it deflated, quickly. It’s really not worth it and could dissolve your business. People only work with those they can trust and get along with. Plan your approach and strategy. MOST new businesses do not make a profit in their first year. Why do people expect to get a return on social networking sites within the first few months? I don’t know. You must be realistic and stick it out for the long run. Building your own personal brand takes time. It is impossible to build a real online presence overnight. First you have to establish credibility and then start marketing. And then you have to do this consistently. It may seem bleak at first, but keep going. Creating a profile that works takes research. You will have to figure out what people like. You will need to discover how to make your profile delicious for the search engines yet at the same time readable for your readers. Look at other profiles to see what works. No need to reinvent the wheel. What is the time frame for picking up real business from your marketing efforts? I would say that you have to be in it for the longer term. You will see results within 12 months or maybe sooner as long as you are consistent. Generating real business might take slightly longer but you won’t know unless you never give up. I stress this because I see too many people get so close to making it, and then they quit. Tip: Blog about your journey, the good, the bad, and the ugly. Let other entrepreneurs in on what you are going through and your efforts. 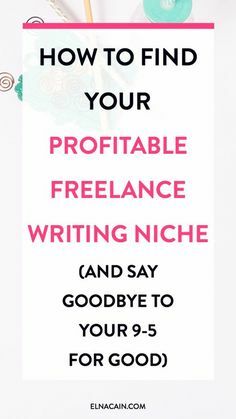 This is a great way to get your name out there and start relationship building with your readers who are also potential customers and colleagues.